The people of Irrua (Iruwa), named after the Edo princess who married the first Enogie of Irrua, and the people of Evbohimwin belong to the Ishan/Esan clan, of the Edo-speaking group. 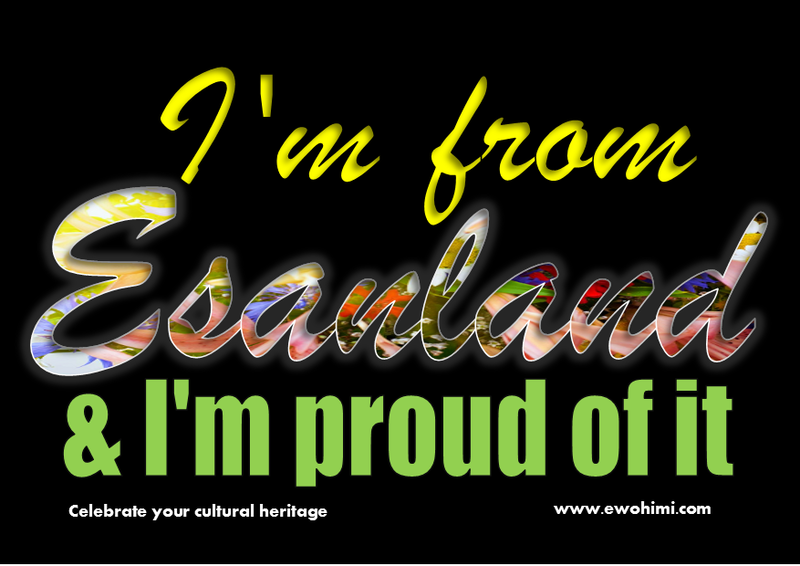 Ishan/Esan is the closest to "BINI" ie the dialect of those who live in and around Benin City. 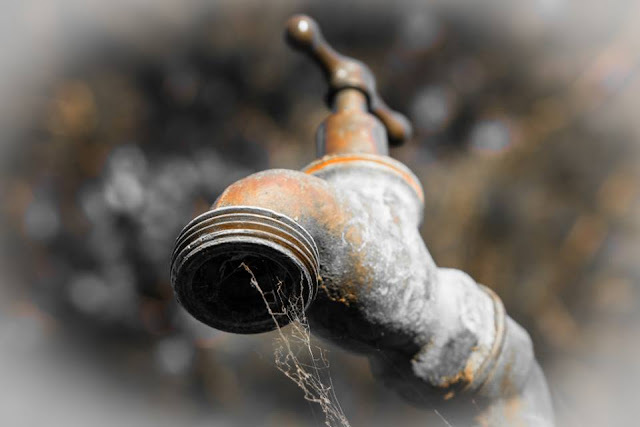 In fact, when the people of Benin sneezes, those in Ishan/Esan develop hiccups, then and now. Riots that erupts in Benin politically, often reverbarates in Ishan/Esan land. Before 1897, the Ishans/Esans were the most avid defender of the Edo monarchy. 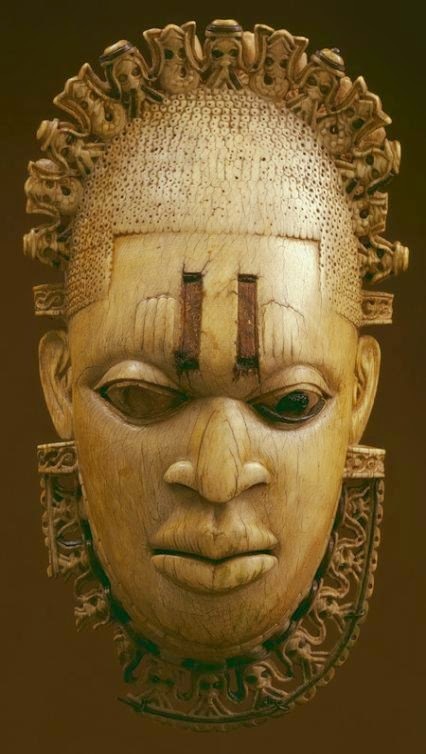 It is not surprising, because Ishan/Esan women have produced most of Obas of Benin. Eheniuan, the first Ezomo of Benin, who later became the commander of the Benin/Edo Royal army is of Ishan descent. The family greeting is "LAGIESAN-La Ogiesan." Evbohimwin, from what we know, is probably the oldest DUKEDOM in Ishan/Esan land. The Enogieship of Evbohimwin is a descendant of one of the OGISOS of Edo history. But with in the last hundred years, the Enogie of Irrua suddenly became the leader of Enigies in Ishan/Esan land. Whenever the Ishan/Esans are gathered, the Irrua man would normally demand the right to break the almighty KOLA NUTS, but not without a fight from other Ishans/Esans. Why is this so? A. Althouth the dukedom of Evbohimwin is probably the oldest, it has always been a haven for Edo princes fleeing from the oba of Benin after a protracted succession struggle. It was also a sort of military out post. Everybody wanted the control of military outposts of Orhodua and Evbohimwin to be in their hands. Obanosa was the Oba of Benin, 1804-1816. When he died, his two eldest sons, Princes Ogbebor and Erediauwa slugged it out for the throne. Prince Ogbebor won and Prince Erediauwa ran to Evbohimwin for safety. His mother was an Ishan/Esan woman from Evbohimwin. 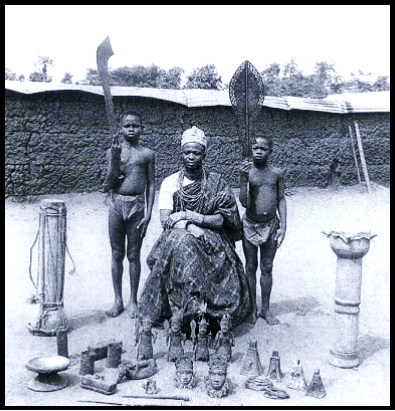 Prince Ogbebor, now the Oba of Benin, tried desperately to dislodge Erediauwa from Evbohimwin. He sent messegers to Ishan/Esan, loaded with coral beads and money, to encourage the Enigies in Ishan/Esan to turn over Prince Erediuwa to him or have his head brought to him in a box. Unfortunately, the supporters of Prince Erediauwa waylaid the messegers to Ishan/Esan, killed many of them and carted way the loot to Prince Erediauwa. Prince Erediauwa now distributed the loot to the Enigies in Ishan/Esan begging for their support and protection. In the ensuing civil war, the army of Oba Ogbebor was defeated. He killed himself, after blowing the palace to pieces with gun powder. He reigned for only eight months. Prince Erediauwa marched into Benin City, ahead of an Ishan/Esan dominated military. He was crowned Oba Osemwende of Benin in 1816. It was Oba Osewende who granted to the Enogie of Uromi, the right to inherit the estate of any person who died childless within Uromi district. This was his reward for supplying men and material in the war to reconquer Akure in 1818-20 rebellion and the battle in defence of the Ekitis against the Ibadans. B. During his reign, he noticed there was an intrigue, to prevent his senior son nicknamed “Ogbewekon," from ascending the throne when he passes on. Prince Ogbewekon and Odin-ovba who later became known as Oba Adolor were born on the same day. Prince Gbewekon was born first but reported last to the palace. Oba Osemwende found out that PrinceOgbewekon's mother had been misled by the Edo chiefs at OGBE quarter in Benin City, tired of Ishan/Esan (QUEENS) mothers of Obas. 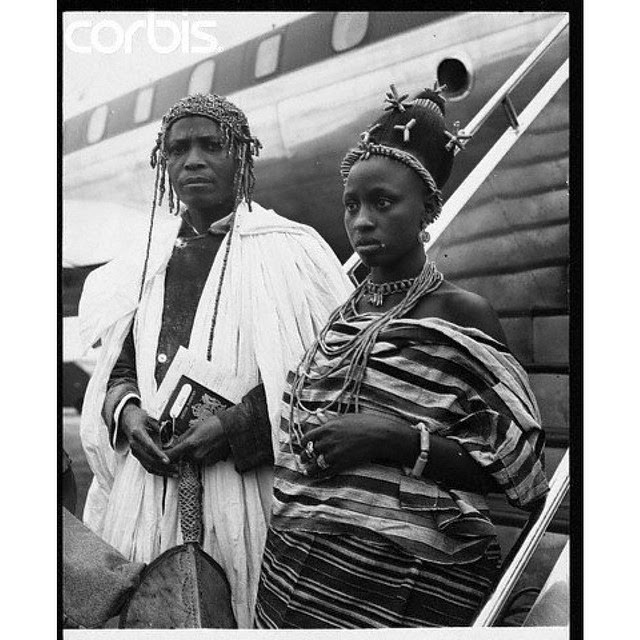 Added to that, was the intrigue of Princess AGHAYUBINI, the most senior daughter of Oba Osemwende, the mother of the OSULAS and AIWERIOGHENES of Benin. She had become very wealthy by trading with the Itsekhiris. This is the popular Itsekhiri factor in the Benin Royal family. When Oba Osemwende passed on, Ogbewekon bypassed and Odin-ovba installed as Oba Adolor, there was another civil disturbance. Prince Ogbewekon ran first to Evbohimwin (Ewohimi) and finally settled at Igueben were he raised an army with which he wanted to invade Benin City. From his hide out at Igueben, he made life uncomfortable for Oba Adolor in Ishan/Esan land. The Enojie of Evbohimwin was also involved. The AMAHO UPRISING of 1853/54 in Ishan/Esan land, had Prince Ogbewekon signature all over it. It was General Ebohon of Ova, the same general who stopped OGEDENGBE of Ilesha at Irhuekpen, who put down the uprising with alot of bloodshed. C. When Oba Adolor passed on, Oba Ovonramwen was installed as the Oba of Benin in 1888, but not without a fight from his brother, Prince OROKHORO. Prince Orokhoro lost and ran first to Evbohimwin (Ewohimi) and then to Orhodua in Ishan/Esan land. His mother was also an Ishan/Esan. He was busy raising an army in Ishan/Esan when the British army struck in 1897. These were some of the factors responsible for the defeat of the Benin army by the British army in 1897. To punish Evbohimwin (Ewohimi) and the Enogie for supporting rebellious Edo Princes, Erhumwunse (Eromosele), the Enogie of Irrua, the son of Enogie ISIDAHOME 1, the son of Enogie OGBEIDE, who commited suicide for ordering the death of a pregnant woman between 1830 and 1847, was made OKA-EGIESAN by Oba Ovonramwen in 1895. He was given ADA, the Sword of Office. He therefore became OGIE ADA. This elevated him far and beyond the Enogie of Evbohimwin. The people of Irrua and Uromi down to Ekpoma were so involved in the 1897 war, that when Enogie Eromosele of Irrua visited Benin City in 1917, after the restoration of the monarchy, he was received with pomp and pegeantry in Benin City by Oba Eweka 11 and the chiefs. His son and successor Enogie MOMODU was always at Benin palace. Enogie Isidahomhen who succeded Eromosele, followed his father's footstep. He too was always at the palace. He actually stayed and studied Native Administration under Oba Akenzua 11. Oka-Egiesan of Ishan/Esan land, occupies the position of PRIMUS INTER PARES in a gathering of the Ishan Enigies. It is also important to note that Oba Osemwende, whose mother was an Evbohimwin lady, had given ODIA, the Enogie of Evbohimwin an ODIGBA-a bearded neck collar of Edo nobility. He also gave him two flint-lock guns, which can still be seen at Evbohimwin today. Those guns are fired ceremonially once a year When Oba Ovonramwen made the Enogie of Irrua Oka-Egiesan, he virtually took seniority from Evbohimwin and gave it to the people of Irrua for loyal service to the EDO NATION, as they saw it then. This is why the people of Irrua would always demand that, they break the KOLA NUTS whenever the Ishans/Esans are gathered. position and will continue for sometime.